Start with rundown ranchland that includes deeded, state, and BLM lands in the middle of core greater sage grouse habitat. Throw in a disconnected river containing not one but three species of endangered fish. Pile on a heap of involved state and federal agencies as well as environmental organizations, and you have a situation where many potential buyers would say, “Hell, no!” Not Tom Page. To the contrary, this was exactly the opportunity he was looking for. With his ball cap and youthful looks, Page doesn’t fit the iconic image of the traditional Western rancher. In fact, like many of his contemporaries ranching today, Page didn’t grow up on a ranch or in the ranching business. But he did grow up hiking, fishing, and exploring the West’s public lands. As a young adult, he went to work for non-profit organizations engaged in land and natural resource management issues, learning skills he would later put to use as a landowner. 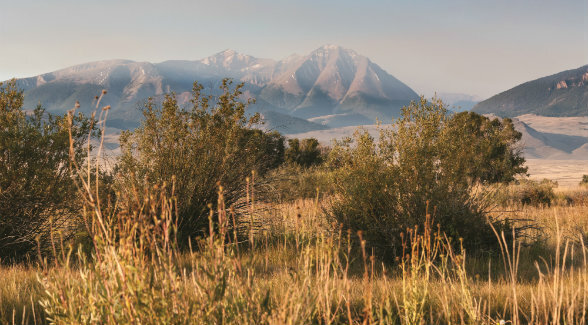 In the late 1990s, Tom’s father purchased some degraded land in Montana’s Madison Valley, and together father and son set about restoring it. “That was my first exposure to having private land and being able to do restoration projects,” Tom says. 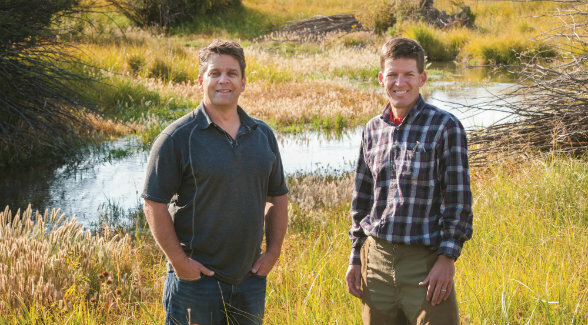 “That was pretty satisfying to see that legacy happen, to see the wildlife habitat come back, and to make the ranch operation workable again.” Inspired by the results, Tom and his brother Mike decided to pursue a similar effort but on a much larger scale after their father’s death in 2004. 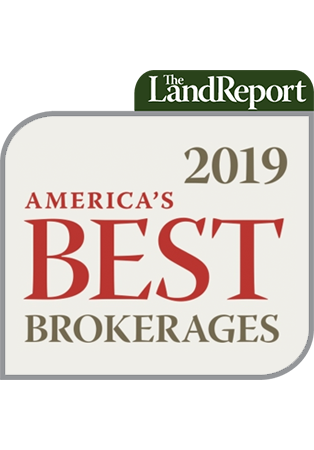 They were able to do exactly this by acquiring several connected ranches in Idaho’s Upper Salmon River Basin with roughly 5,500 deeded acres, 13,000 acres of state leases, and seven BLM grazing permits totaling 120,000 acres. Few places outside the American West offer the opportunity for a prospective landowner to operate at such a landscape scale right off the bat. They named it Big Creek Ranch. At the time of the purchase, the Pahsimeroi River was a mess. Several portions of the river were bone-dry. On other portions, including their land and public lands, endangered bull trout as well as steelhead and Chinook salmon could be found. That solution included working with an existing strong coalition of nearly a dozen agencies, other landowners, and conservation organizations on an ambitious effort to reconnect the Pahsimeroi and some of its tributaries. Rather than view some of these entities as opponents, Page reached out to them as partners. “Every time I meet a new landowner, I direct them to an NGO (non-governmental organization). One advantage of operating in areas with high public resource values is that NGOs tend to concentrate there and can be valuable partners to landowners,” Tom says. He is also involved in the Central Idaho Rangelands Network (CIRN), a collaborative organization of ranchers and conservationists working to sustain the social and natural values of the region. “CIRN provides an opportunity for peer learning, understanding federal land management processes, and coordinating with the agencies,” he says. A major boost to the project came in the form of funding from the Bonneville Power Administration’s Columbia River hydropower system. BPA is required to mitigate its impacts to endangered Chinook salmon. “That’s the power of the Endangered Species Act, that we had the mitigation money available to support our projects and many others in our region,” he says. In the end, however, their patience and persistence paid off. For the first time in 125 years, the Pahsimeroi River is reconnected. Thanks to an improved irrigation system, the Pages and other landowners have sufficient water to increase the stocking rate while also leaving enough in the river for the fishery. 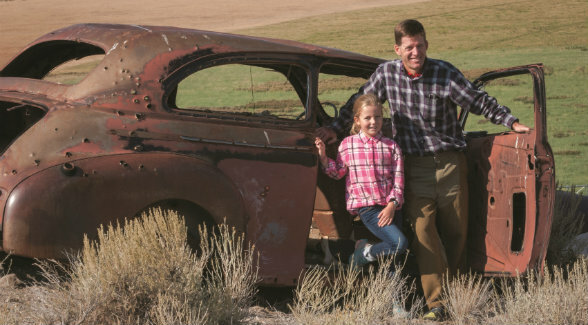 For Page, the public lands components of his ranch, and even some aspects of the Endangered Species Act represent opportunities rather than liabilities. “I look at the public lands as a huge asset, assuming you take the time to understand how they work and get to know the people involved,” he says.